This is a simple way to add fruit to any beverage. Wash fresh fruit well. 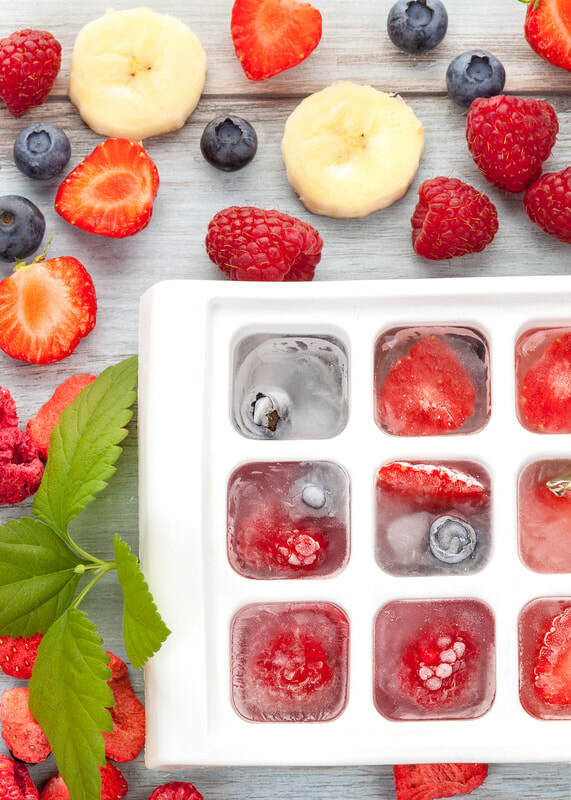 If it’s not small enough to fit in ice cube slot, chop into smaller pieces and place in ice cube tray (mixed fruit or individual piece as desired). Fill with filtered water using funnel (easier to control so you don’t overfill the tray) and freeze. Place frozen ice cubes in a glass of water, sparkling water, or fruit juice for a delicious and healthy beverage.